Even after you’ve driven your new car off the lot, Lujack Honda continues to support you in order to ensure you have a great ownership experience. Our service department offers everything from routine maintenance to repairs when they’re needed. We know how to maintain your new or used Honda, and if you’re searching for Honda repair and auto service in the Davenport area, visit us first! And for those of you who prefer to tinker under the hood yourselves, we keep a comprehensive stock of OEM parts for your endeavors as well. If you need any parts or accessories for your car, stop into our Parts department and our knowledgeable parts team will take care of you. If we don’t have it, we’ll find it. 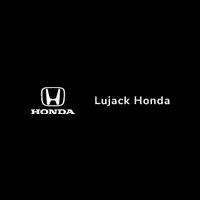 Lujack Honda is equipped to handle all of your automotive needs. Contact us today to see what we can do for you or visit our showroom located at 3707 N Harrison St Davenport, IA. 52806. Come and see for yourself the pride we take in our company, but mostly the pride we take in our customers.